Belltech Pro-Coil Springs are an advanced lowering kit which includes Belltech's high quality coil springs and vehicle specific upper spring or strut mount spacers. Two lowering height options are offered with each kit. Pro-Coils can also be combined with other lowering components for an addition reduction in ride height. 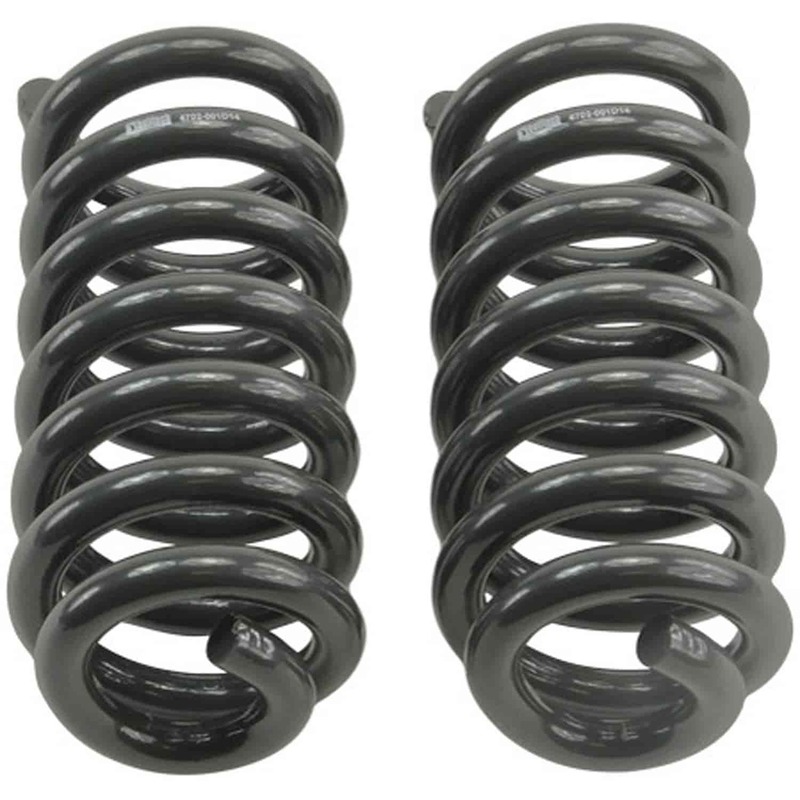 Belltech Standard Coil Springs are made from alloy steel that is wound; shot peened then powder coated to exact specifications to assure the proper ride height. Springs are engineered for performance and comfort while lowering the center of gravity of your truck and reducing body roll. Belltech Leaf Springs are designed to lower the rear of your Truck and retain your smooth factory ride. Belltech leaf springs feature a heavy gauge reinforced steel construction and a durable powder coat finish effectively resists corrosion, peeling, chips and scratches. All leaf springs come complete with OEM quality rubber bushings. Sold individually. Does Belltech 4702 fit your vehicle? Can these be used for a big block? Yes, these springs will work in a big block application.